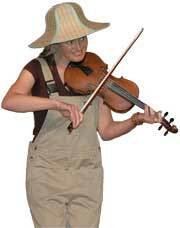 JAM - NSW Folk Federation :: Fogs is the problem! 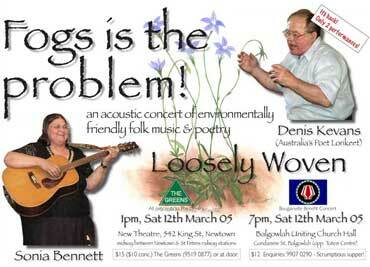 Two chances to see the revival of a concert performed by Australia's Poet Lorikeet Denis Kevans and singer/songwriter Sonia Bennett together with Loosely Woven (a group of 20 instrumentalists and singers). Halfway between Newtown & St Peters stations. Tickets: $15 ($10 conc.) The Greens (9519 0877) during office hours or at the door. 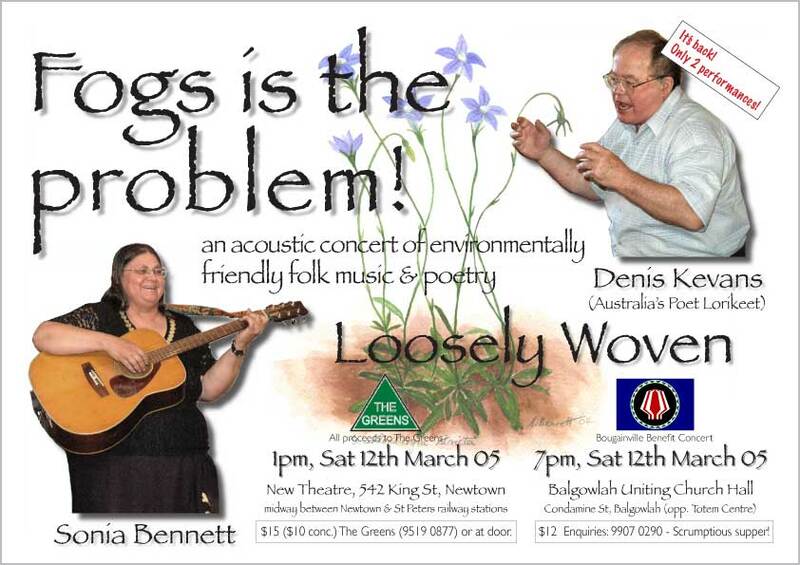 The concert features the poetry and songs of Denis and Sonia and reflects the passionate concern that both feel for the environment - especially that of the Blue Mountains where Denis lives. For more information ring Wayne Richmond on 9913 7788.